Done with some R&R following his exit from WideOpenWest in April, cable industry vet Cash Hagen has resurfaced as the first COO of Evolution Digital, the Colorado-based company that’s been focused on next-gen video platforms for smaller, independent cable operators. Hagen, who starts on October 1, is also coming on board as Evolution Digital LLC plans to scale up its deployment activity with MSOs and expand into some new product areas designed to help ISPs improve the broadband experience in ways that go beyond raw feeds and speeds. 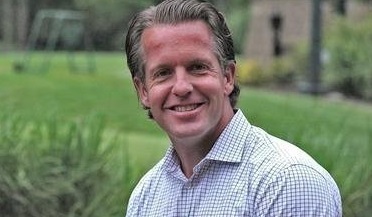 Former WOW exec Cash Hagen is Evolution Digital’s first COO. What lies ahead for Evolution “around video — and then some — is what has gotten me equally excited,” he says of the decision to join Evolution Digital. Hagen said Evolution Digital also reminds him of his early days at WOW, which had a “David vs. Goliath mentality” as the competitive overbuilder took on major cable operators in telcos with a bundle of voice, video and data services. Hagen also knows a bit about Evolution from his time at WOW, which was the first operator to deploy Evolution’s IP-based eVUE-TV platform and was an early adopter of its eBOX, a hybrid IP/QAM device. While video solutions for Tier 2 and Tier 3 operators will remain core to Evolution’s business, Hagen said the company is also ready to expand into “Internet-adjacent” product areas. Evolution isn’t revealing details about that yet, but Hagen hints that the plan is to help those indie operators with products that enhance their broadband offerings. Hagen, who is also late of companies such as Nortel Networks, BigBand Networks (now part of Arris Group Inc. (Nasdaq: ARRS)) and Cox Communications Inc. , believes that the price/value equation for broadband services is changing in a way that extends beyond just bits and bytes but is complemented by improving the broader experience and performance of those services as more and more devices are connected to the home network. Hagen is also joining Evolution amid some recent exec changes. In July, company VP of video engineering Panneer Ramalingam was named CTO while Brent Smith, the company’s former CTO and president, was appointed to the newly created role of chief strategy officer.